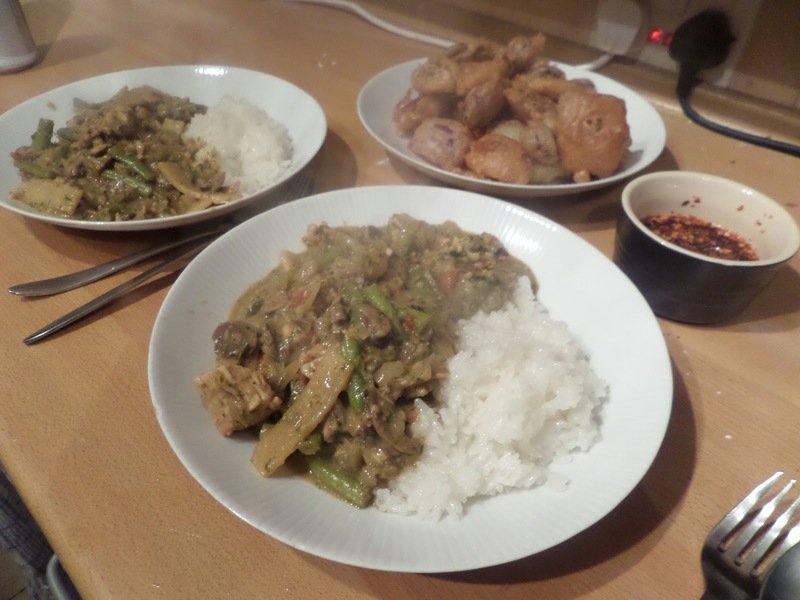 Thai Green Curry – from scratch this time! We’ve got a pack of sticky rice coming up to its best before date, which sounds like a great excuse for a Thai green curry! 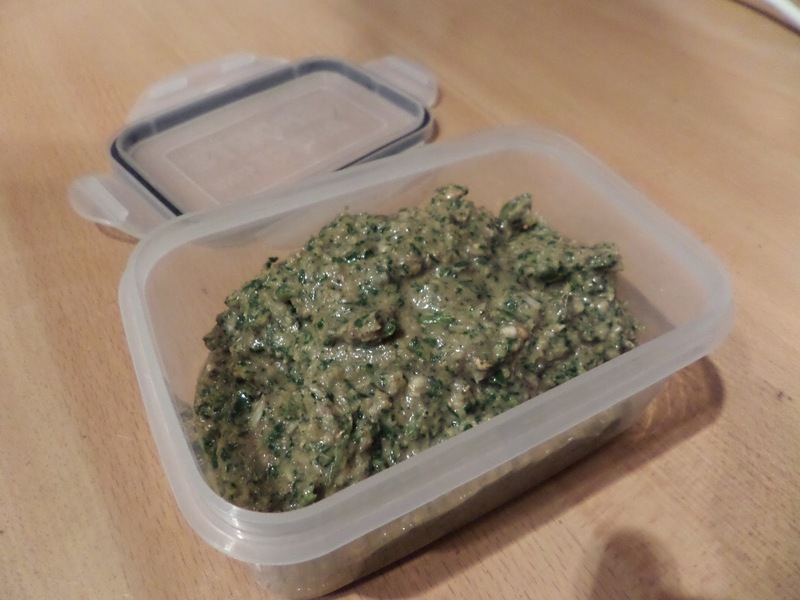 Last time I did Thai green curry I used a pre-made sauce. 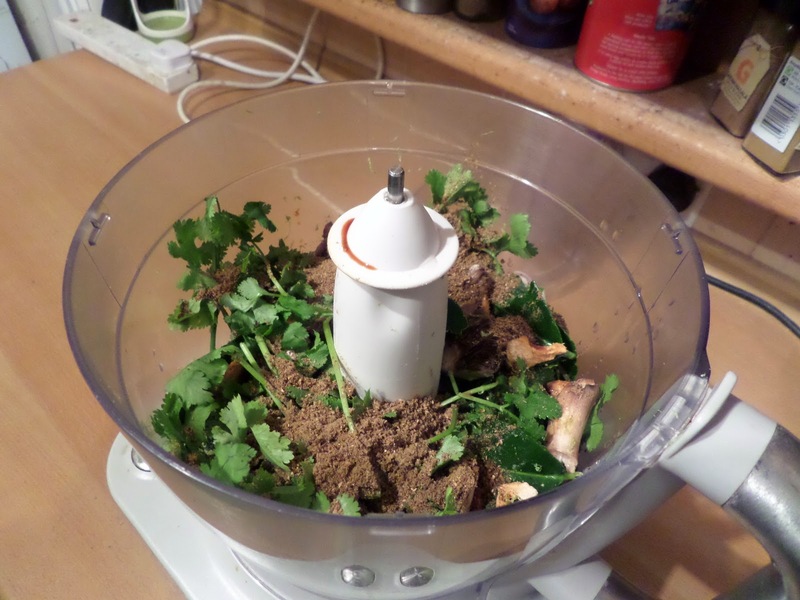 This time I’ll be making my own, based on this BBC Good Food recipe. That was so easy. No need to buy this stuff. Well… assuming it tastes good! We’ve also got some excess vegetables that need using up, which sounds nice an healthy, but we’ve also got excess frying fat that didn’t get used for the salt fish fritters and festival on my birthday, so sourdough tempura veg it is! So… sticky rice… wasn’t that sticky. To paraphrase what was said above: sod that for a game of soldiers, let’s just do normal rice next time. The green curry: tasted like a green curry. A really good one. Correct flavour, correct spice, correct texture… RESULT! Sticky rice ??? too much faff. Stick to the easy stuff.